The textile pattern and designs of India are world best. Brocade and Chicken Kari works are unique to India. In this tour we shall take you to the cities like Lucknow and Varanasi. 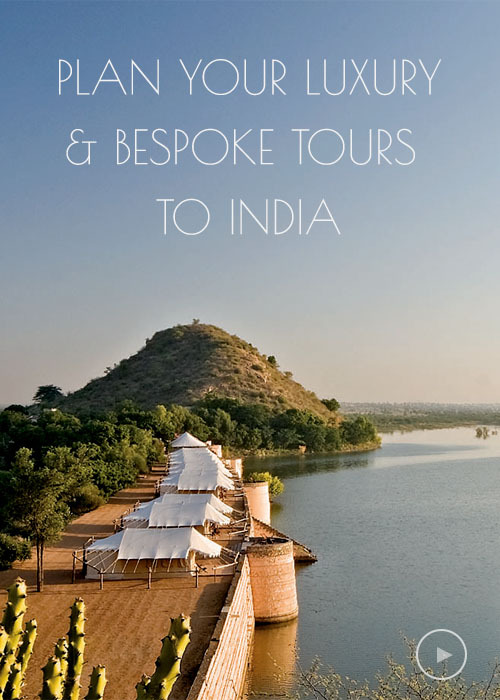 The tour would also give you a chance to explore India through its unique lifestyle. Arrive at Delhi International airport. Delhi – discover that India’s capital is sprinkled with glittering gems: captivating ancient monuments, magnificent museums, a vivacious performing-arts scene and some of the subcontinent’s yummiest places to eat. Depart for half day sightseeing tour of New Delhi. Continue your tour with Qutab Minar (UNESCO WORLD HERITAGE SITE - Qutab Minar is 73 meters high which tapers from a 15 m diameter base to just 2.5 m at the top. The walls consist intricately carved quotations from Koran. The tower is one of the most perfect towers of the Persian world). The tour would also include a drive through the Lutyens Delhi and a photo stop at India Gate (The war memorial) as well drive past President's Palace & Parliament House. Afternoon visit Sanskritti Museum of Textile. Depart for half day sightseeing tour of Old Delhi visiting Red Fort (UNESCO WORLD HERITAGE SITE - Red Fort was built by the mughal emperor famous for its architectural wonders one of which is Taj Mahal - Shah Jahan. Red Fort is famous for its delicately carved inlaid and Royal chambers) – Monday closed. Afternoon visit National Handicrafts & Handlooms Museum. Morning transfer to New Delhi train station in time to board 2004 Lucknow shatabdi Express (Travel in AC Chair Car) to Lucknow. Lucknow, the capital of Uttar Pradesh, was also the capital city of the Nawabs of Awadh. The city was a favorite of the nawabs and many magnificient buildings and monuments have been built by them. Situated on the banks of River Gomti, the city of Nawabs is famous all over the world for its etiquettes and Tehzeeb or the graceful and polite behavior. Famous for its lovely monuments, architecture, dance and handicrafts, Lucknow, the capital of Uttar Pradesh, is today one of the growing metropolitan cities of India. Known for its Urdu poetry or Shayari, the city offers its travelers a perfect blend of its glorious past and the modern present. Afternoon visit the weaving center of “Chicken Kari” – the famous textile of Lucknow embroidery mostly local design using white thread upon very fine cotton. Also visit the self employed women’s center – famous for its hand embroidery. You will of course get a chance to buy some of this great embroidery. Bada Imambada or Asafi Imambada (Imambada: patriarch's place) is an important tourist attraction of Lucknow. It was built by the then Nawab Asaf-ud-Daula in 1784 to provide succor to the famine-stricken people. Apart from the galleries in the interior, there is no woodwork anywhere. The interior vaulted hall, measuring 162 feet long, 53 feet broad, and 50 feet high is said to be one of the largest apartments of its kind in the world. From the outside, a staircase leads to a series of artfully designed labyrinths (bhoolbhulaiyan) where it is very easy to get lost! You could wander through the zigzag narrow galleries for hours without finding your way out! It's a very eerie sensation, moving towards the sunlit corridors that seem to be going out, only to find that you are actually deeper in the labyrinth! Most visitors therefore are only allowed inside with guides who are, quite amazingly, familiar with the maze. The Hussainabad or Chota Imambada is an exquisite building built by Nawab Muhammad Ali Shah in 1839 as a burial place for himself. As you enter the compound, you step into a large courtyard with a rectangular raised tank spanned by a small bridge. The beautiful Imambada, reflected in the placid water of the tank is one of the prettier sights in Lucknow. On either side of the courtyards stand a miniature version of the Taj Mahal. In one of them lies buried Zinat Asuja, the daughter of Muhammad Ali Shah and in the other are preserved the remains of her husband. The walls of the Imambada are embellished with calligraphic verses in Arabic. The interior of the Imambada houses an exotic assortment of objects ranging from elaborate chandeliers and gilded mirrors to tazias made of sandalwood, wax, and paper. A silver railing encloses the graves of Muhammad Ali Shah and his mother. During Muharram, both the Imambadas are ablaze with illumination. . Afternoon drive to Varanasi and check in at Hotel. Varanasi, the city was founded by the Hindu deity, Lord Shiva, around 5,000 years ago, thus making it one of the most important pilgrimage destinations in the country. It is one of the seven sacred cities of Hindus. Many Hindu scriptures, including the Rigveda, Skanda Purana, Ramayana, and the Mahabharata, mention the city. Afternoon walk through the bazaar of Varanasi a heaven for the rich merchant wholesale markets for brocade and Banarasi Sari. Arise early morning for boat ride on river Ganga to witness the ritual bath at Ghats The sunrise is worth watching. You would also be able to walk through the narrow lanes of Varanasi or Kashi. Stop outside the famous temple of Shiva – the Kashi Vishwanath Temple. Afternoon you will be taken on a excursion to Sarnath - It is the place where Lord Buddha delivered his first sermon. Excavations by the Archaeological Survey of India at Sarnath have revealed many structures which represent facets of the Buddhist history visit the Archaeological Museum, Chaukhandi Stupa, Ashoka Pillar, Tibetan Temple, Thai Temple and the Deer Park. The Archaeological Museum in Sarnath is one of the most famous museums of its kind in Southeast Asia. The museum is situated very near the historical ruins. It contains a huge collection of sculptures. Afternoon is free to relax. In the late evening transfer to Varanasi train station in time to board Marudhar Express (Travel in AC 2 Tier Sleeper Class) to Agra. Today morning you will arrive at Agra train station. Depart for Jaipur en route visiting Fatehpur Sikri. - the Mughal Emperor Akbar built Fatehpūr Sikrī about 35 km from Agra, and moved his capital there. Later abandoned, the site displays a number of buildings of significant historical importance. A World Heritage Site, it is visited by most tourists. The name of the place came about after the Mughal Emperor Barbar defeated Rana Sanga in a battle at a place called Sikrī . Then the Mughal Emperor Akbar wanted to make Fatehpūr Sikrī his head quarters, so he built a majestic fort; due to shortage of water, however, he had to ultimately move his headquarters to Agra Fort. Continue your drive to Jaipur and check in at Hotel. In the late afternoon you will be taken to visit Saganer where you will see the villages at work, fascination art of Tie & Dye (Bandhani) and Block Printing with wooden blocks and the art of hand made papers. Depart for Amber fort (Situated atop the Aravali hills, it is the ancient capital of Jaipur and a magnificent example of Rajput architecture). Depart for Udaipur and check in at Hotel. Rest of the day is free to relax. Depart for Ahmedabad and check in at Hotel. Ahmedabad was founded in 1411 by Sultan Ahmed Shah to serve as the capital of the Gujarat Sultanate. The city is named after its founder. Under British rule, a military cantonment was established and the city infrastructure was modernised and expanded. Although incorporated into the Bombay Presidency during the British rule in India, Ahmedabad remained the most important city in the Gujarat region. The city established itself as the home of a booming textile industry, which earned it the nickname "the Manchester of the East." The city was at the forefront of the Indian independence movement in the first half of the 20th century. It was the centre of many campaigns of civil disobedience to promote workers' rights, civil rightsand political independence. Depart for sightseeing tour of Ahmedabad visiting Sabarmati Ashram - this This ashram was Gandhi's headquarters during the long struggle for Indian independence. His ashram was founded in 1915 and still makes handicraft, handmade paper and spinning wheels. Gandhi's spartan living quarter are preserved as a small museum and there is a pictorial record of the major events in his life. The ashram is open from 8.30 am to 6.30 pm (7 pm between April and September). Admission is free. There is a sound-and-light show for a small charge at 6:30 pm (in Gujarati) and 8:30 pm (in English on Sunday, Wednesday and Friday and in Hindi on the other nights. The beautiful ashram complex of Ahmedabad, with it's shady trees populated by thousands of parakeets, beeeaters, sunbirds and squirells, offers a refuge from the loud streets of the city, and is one the foremost tourist attractions of Ahmedabad. Also visit Jama Masjid, built in 1423 by Ahmed Shah, is beside Mahatma Gandhi Rd, to the east of the Teen Darwaja. Although 260 columns support the roof, the two 'shaking' minarets lost half their height in the great earthquake of 1819, and another tremor in 1957 completed their demolition. Much of this early Ahmedabad mosque was built using items salvaged from the demolished Hindu and Jain temples. It is said that a large black slab by the main arch is actually the base of a Jain idol, buried upside down for the Muslim faithful to tread on. Exhibiting the finest arts and crafts of Gujarat, Shreyas Folk Museum is situated 2.5km west of Sabarmati. Set in suburbs of Ambavadi in Ahmedabad, the museum has a huge display of textiles and clothing in Gujarat. One of the major attraction of the museum is a complete skeleton of an elephant with a height of about 3.19m. Old coins, weapons, toys, costumes, masks, puppets, musical fountains and animal caparisons also lure foreign tourists. The museum remains open daily from 10:30am-05:30pm except Mondays and public holidays. It remains close during lunch hours .i.e. 01:30pm to 02:00pm. also visit National Institute of Design. We shall also try and take the permission to visit Calico Museum. Transfer to Ahmedabad airport in time to connect flight to Mumbai. Bombay, is the capital of the Indian State of Maharashtra. The city is the second most-populous in the world; with approximately 14 million inhabitants along with the neighbouring cities of Navi Mumbai and Thane it forms the world’s 4th largest urban agglomeration, with around 19 million people. Mumbai lies on the west coast of India and has a deep natural harbour. Mumbai's most famous monument, this is the starting point for most tourists who want to explore the city. It was built as a triumphal arch to commemorate the visit of King George V and Queen Mary, complete with four turrets and intricate latticework carved into the yellow basalt stone. Ironically, when the Raj ended in 1947, this colonial symbol also became a sort of epitaph: the last of the British ships that set sail for England left from the Gateway. Today this symbol of colonialism has got Indianised, drawing droves of local tourists and citizens. Drive past Marine Drive is a 3-kilometre-long boulevard in South Mumbai in the city of Mumbai. It is a 'C'-shaped six-lane concrete road along the coast, which is a natural bay. This is a windswept promenade, flanked by the sea and a row of art deco buildings. Looped between the concrete jungle of Nariman Point, Mumbai's Manhattan, and the leafy green slopes of Malabar hill, Marine Drive was once called the queen's Necklace, strung with glittering street lights like an enormous strand of imperious jewels. It is also one of Mumbai's busiest roads, an important artery for the heavy suburban traffic heading downtown. Cars whiz continually past the two mile stretch, past huddled lovers, children and babies in perambulators. Like other seafronts, this is where most of south Mumbai comes to breathe in some fresh air. Transfer to Mumbai International airport in time to connect your onward flight to next destination.